Solent Fencing - Fencing/Gates, Landscaper based in Gosport, Hampshire. 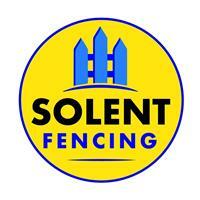 Welcome to Solent Fencing, your first thought for fencing!! We supply and install the very best fencing across the solent. From Domestic fencing to commercial fencing we cover it all. Whether it’s a small repair to large fences damaged from storms, we have you covered. We pride ourselves on our reputation, reliability and standard of our work carried out. Our reputation and work talks for itself. We are a family run business in the heart of the solent, and fencing is our pride and passion. If we have not listed a job you have in mind please contact us for further discussion thank you. Please take a look at our full website / Facebook page for a more in depth look into what we do.